* Blog Currently on Hiatus. The New York Times had a great Taco series in their food section yesterday. In recent months I've become something of a taco fanatic. Growing up, all I knew was Taco Bell, and the occasional stuff my mom would make with the Old El Paso kits. Marrying a woman from California has opened my eyes to what tacos and all Mexican food, really can be. Mark Bittman as The Minimalist tells us how you can create authentic tacos in your own kitchen. He strongly recommends using corn tortillas, though in my experience, they're more prone to falling apart in your hand. The article tells us what ingredients make up the taco experience and what options you have. In Taco Technique, Bottom to Top, Bittman gives us the proper method of building a great taco. Briefly warm the tortilla on both sides in a dry pan. It will take on just a little color. Then, be sure not to overload. If you put too much in there, the stuff will fall right out. Start with the protein, not only because it’s the foundation but because as the heaviest component it belongs at the bottom; no more than one-third cup or so for an average four- or five-inch taco. I like to put the crunchy stuff, like lettuce, on next, for contrast; a small handful, as much as you can grab with your fingers, not your fist. Then the spoonable ingredients, or the sprinkles: salsa or crema, guacamole or crumbled cheese — whatever you like, but we’re only talking a tablespoon or two here. In my experience, I've found the Carne Asada beef at Trader Joes to be outstanding, as are their hand made flour tortillas. Make sure you get the hand made ones, there is such a difference between those and the regular ones that you won't believe it. We received a large wooden salad bowl as a wedding present. While the bowl is beautiful, we're actually a little imtimidated at the prospect of using it. What if we ruined it? Is it possible to ruin it? The Arizona Republic this week has a look at the return of the wooden bowl. While it may remind some of the 1960's, the bowls are making a comeback in this Earth-friendly age. The article mentioned that "gourmets" would rub a garlic clove in the bowl to season it before creating a Caesar salad for a dinner party...not a bad idea. • Expect bowls to darken with age, with black cherry darkening the quickest. • Like other wood kitchen products, the bowls must be cleaned and oiled properly. 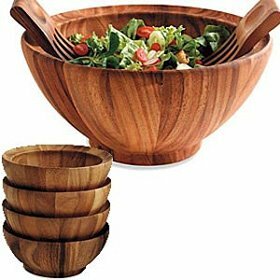 • Bowls can be washed in hot water and soap, but not soaked in hot water, which causes the wood to expand. • Also, do not put bowls in the dishwasher, microwave or oven. And store away from direct sunlight. • When wood becomes dry, apply a thin coat of mineral or other oils created specifically for wood utensils and sold at kitchen stores. • Well-preserved bowls can last for generations. Don't know how I did it, but I missed this terrific article from last week by Robin Mather Jenkins on the book Fried Chicken: An American Story and includes some great tips for making the perfect fried chicken at home. Brine the bird. Add your favorite flavoring to the brine. Marinate the bird. Season the marinade. Create the crust. Season the flour generously. Choose your pan. Cast iron means even heat and even browning. Fry right. Fry in vegetable oil, but add a little bacon grease for flavor. Serve it forth. Sprinkle the cooked chicken with a dusting of spices for one last flavor hit. This recipe combines the best advice of the experts: brining for moist, juicy chicken; marinating in buttermilk for tenderness; seasoned flour for a crisp crust; and a little bacon grease mixed into the frying fat to add savory flavor. The brining and marinating mean you'll have to think ahead - start this recipe at lunchtime the day you'll set it on the table. 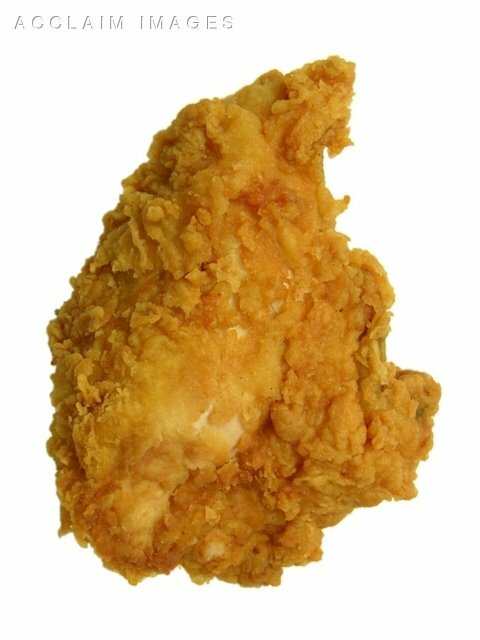 Remember that the side you start frying a piece on will always look better than the other side. You may want to use two skillets for the frying. Dissolve salt and water in a large bowl; add the chicken. Cover; refrigerate 3-4 hours. Pour off the brine; rinse the chicken well under running water in the bowl. Drain. Add buttermilk and hot sauce to chicken. Cover bowl; refrigerate for at least 1 hour. Combine the flour, salt, red pepper and garlic powder in another large bowl or food storage bag; drain the chicken pieces. Add 2 or 3 pieces of chicken to the bag; seal. Shake to coat chicken. Remove chicken to a rack; refrigerate at least 1 hour. Heat the oven to 300 degrees. Heat a large, heavy skillet over medium-high heat. Add oil to a depth of 12 to 34 inch; stir in the bacon drippings. Heat oil to 350 degrees, or until a drop of water spatters when it hits the hot oil. Add the drumsticks, wings and thighs, skin side down (the oil should come about halfway up the sides of the pieces of chicken). Cover; cook until tiny bubbles begin to appear in the crust on the side facing up, about 10 minutes. Turn; cook 10 minutes. Uncover the skillet; reduce heat to medium-low. Cook until chicken is golden brown, 5 to minutes. Remove drumsticks and thighs from skillet to a rack placed over a cookie sheet; place in oven. Raise heat under skillet to medium-high. Heat oil to 350 degrees; add the breasts, skin side down. Cook until tiny bubbles begin to appear in the crust on the side facing up, about 10 minutes. Turn; cover. Cook 10 minutes; uncover the skillet. Lower the heat to medium-low; cook until golden brown, about 5 to 10 minutes. Makes 6 servings. Kevin R. Convey in the Boston Herald offers some tips and advice on grilling an entire fish - a process he says puts more flavor into the end product because you're cooking the bone skin and flesh together, which adds much more flavor than simply grilling a fillet. When it’s time to cook, get the grill good and hot - gas is more convenient, charcoal or wood more flavorful - clean and grease the rods well with an oil-soaked paper towel held in a set of tongs, pat the fish dry, cut three or four diagonal slashes to the bone in each side, then season and oil it to reduce sticking. DeRego recommends cooking whole fish in part over an indirect flame, which takes longer but is a bit more forgiving than Kamen’s direct-grilling method. But whatever method you choose, turn the fish only once - no pushing, prodding or flipping - and do so by slipping a long spatula under the length of the fish and gently rolling it over. Kamen recommends 7-10 minutes per side, but urges cooks to check for doneness near the spine with a knife, looking for flesh that is just turning translucent and slightly flaky. More exact is a thermometer reading of 140-145 degrees near the bone. 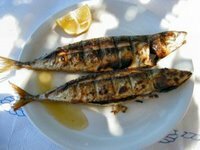 Remove the fish from the grill in the same way you flipped it, and remember that the fish will continue to cook once it’s off the flame. To serve, run a sharp knife along the spine and belly of the fish, and then cut a line behind the gills and in front of the tail. Use a spatula to carefully remove the fillet, working from top to bottom. Pull the tail up to remove the skeleton, and then lift out the other fillet. To do this cleanly takes some practice, so be patient. 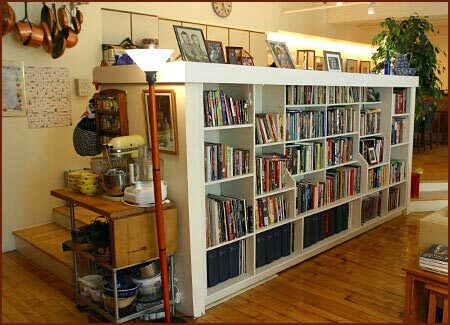 I once went to a house where the owner had an entire wall, (and it was a big wall) covered with shelves that were filled from top to bottom with cookbooks. This guy had cookbooks on every topic, style and method out there. Most of us don't have the space to keep that many publications. I keep one shelf of books and a basket of magazines, which I have to go through every few months. I find mostly that I'm going online more and more when I'm looking for a technique or recipe. A few years ago, I hit on a system that works for me. At an office supply store, I bought a large, sturdy loose-leaf binder, a pack of dividers with pockets, and a box of cheap plastic sleeves. I could set up the dividers to match my life, rather than some preset order of dishes. So my first section is "slow cooker," followed by "family," "entertaining" and "potlucks." Desserts are divided by cakes and cookies; breakfast is somewhere in the back, because it's rare when I have to cook something elaborate. Using clear sleeves for pages lets me add clipped recipes after I've tried them. They can be removed and taken to the stove, and they're protected from drips. The pockets on the dividers hold all those recipes that are waiting to audition. 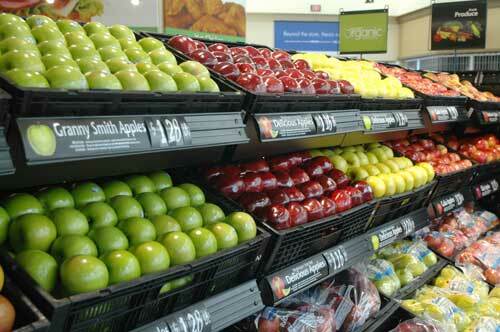 It's easy to find yourself wandering aimlessly through the vast aisles of your local supermarket. Invariably, you can't find something, or end up forgetting a key item you really needed. When you get to actually examining the items on the shelves...that can be just as confusing. What's good for you? What is bad for you, but is promoted as being good for you? How can you tell? Don't go into the center aisles. But if you have to, don't buy anything with more than five ingredients, not counting vitamins. And if you can't pronounce an ingredient, don't buy the product. Don't buy anything with a health claim -- they're misleading. Don't buy anything with a cartoon on it -- these people are marketing directly to your child. And if you're concerned about weight, don't buy soft drinks -- they're all calories and no nutrients. A: They violate the five-ingredient rule. Lunchables do, too. And Pop-Tarts. Q:Even the controlled-calorie, low-fat frozen meals? Many people watching their weight rely on them. A:They don't taste very good. Eating is a great pleasure. I'd rather try to keep control of the quantity I eat. There are quite a few more in the article as well. Sometime this weekend, perhaps even tomorrow night, I'm going to do something I haven't done in at least four years...make Ice Cream at home. 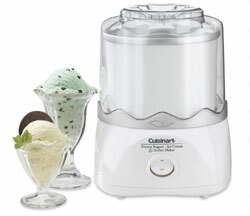 The weather is hot and steamy, and I've had this Cuisinart Ice Cream maker staring at me from my kitchen shelves for months now. It's time it go some use. I went and put the inner bowl into my freezer the other night, and it will be good and frozen for when I put together the ingredients and turn it on. The type of dessert you make will probably depend on individual preferences as well as what kind of fruit is in season. But also keep in mind that when it comes to choosing a recipe, the higher the butterfat, the richer (and some might argue, better tasting) the ice cream. Heavy cream, for instance, is a standard ingredient in premium chocolate and vanilla ice cream, and has 36 percent to 40 percent butterfat, while whipping cream has 30 percent to 36 percent and half and half has 10 percent to 18 percent. Whole milk, often used in gelato and "quick" ice cream recipes, has less than 4 percent butterfat. Similarly, use the best-quality bittersweet chocolate you can afford (semi-sweet will make the ice cream taste too sweet) as well as real vanilla beans instead of vanilla extract. For recipes that call for cocoa, Dutch-process cocoa, which is treated with an alkali to neutralize its acids, will provide a deeper taste and color. There is also an article on how ice cream makers stack up, as well as a podcast with more advice on making this treat at home.